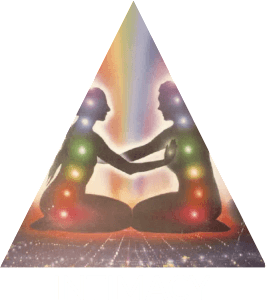 The level of Intimacy in a relationship that individuals experience with another person is represented by the length of the left side of the metaphorical triangle of love. Our capacity for intimacy is directly related to our level of consciousness (we can only share and perceive what we are conscious of, and not what is “over our head”), spiritual development (which reduces fear and shame) and other developmental lines (see Integral Relationships: A Manual for Men pages 42-66) as well as our psychological health (pages 109-111). However, in order to truly connect and to heal, learn, grow, and awaken in a love relationship, a partner needs to resonate with the vulnerable insights that are shared and be able to reciprocate. Otherwise it becomes and unsatisfying one-way street and we could as well share with our journal or a robot.